We at Magic Carpet Cleaning provide sofa cleaning services in London, because we know how important the family atmosphere is to any home. It’s so good for the whole family to gather for a game or for a movie in the living room and sit on the large tidy couch! And if you have a pet, the family idyll is fully complete! Family, friends, guests and visitors sit on the sofa and it begins to look more and more dirty, stained and damaged. Traces of pens and stains from ketchup or juice are all over. But do you have to put up with them? Say “NO more”! The experts of Magic Carpet Cleaning will take care of any couch, armchair, settee or leather sofa by removing dirt and stains with ease and all this at a really affordable price! Why Choose Our Professional Sofa Cleaning Service in London? Remove all stains, dirt and dust while preserving sofa fabrics and refreshment. Animal hair, dust, soil, mud have no chance! We offer the best choices of price vs. quality to our customers – and you will get maximum satisfaction out of it! We use environmentally friendly products to protect you and your family – this is one of our priceless principles for top service quality. Our customers enjoy special treatment and recommend us as a trusted partner! If your property is located in London, do not hesitate – give us a call NOW! Get the specialists of Magic Carpet Cleaning at: 0208 861 0979 and schedule a meeting with magic cleanliness at home! 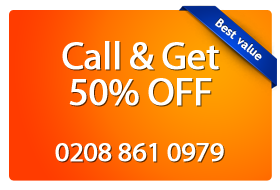 Magic Carpet Cleaning provides sofa cleaning services in all London areas. We appreciate not only cleanness at your home, but also your health, so we use green products for cleaning. Under the capable hands of our professionals stains disappear as if by magic. The different materials and fabrics retain freshness and style. We bring back the new look on your sofas- no matter whether it’s wool, leather or of any synthetic material. In each case we offer effective solutions. You can check our upholstery cleaning services page as well. Often after a walk in the park, you can see traces of muddy shoes on the expensive fabric of the sofas. The cleaning expert provider will be there in a minute to clean stains from mud and grass off your sofa. While we are cleaning your sofa you will have free time for yourself or your family and friends. Think of all the fun you can have, especially when kids are young – these moments are to be cherished as they will not return. You can enjoy a marvelous walk in the park or spend some hours with your friends chatting and shopping together, while we clean your home!